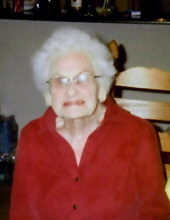 Eleanor Grace Barnes, age 95 years, of Flemington, NJ, died Thursday, April 4, 2019, at the home of her daughter, Sandra Borucki, with whom she had resided the past six years. Born in New York State, March 21, 1924, daughter of the late William L. and Olive Grace Foster Mortimer, she had formerly resided in Forks Township, PA and in Clinton Township, NJ. Eleanor was formerly employed at Oxford Furnace and later, for twenty-five years, in the Supply Dept. of RCA, Bridgewater, NJ. Eleanor was a member of the former Allerton United Methodist Church, Clinton Township, NJ. Her husband, Albert T. Barnes, died in 1996. Surviving are two daughters and a son-in-law, Judith A. Apgar, of Myerstown, PA. and Sandra and Stephen Borucki of Flemington, NJ; six grandchildren; sixteen great grandchildren and two brothers, Richard Hardenber in Texas, and Russell Hardenber of Easton PA.
Funeral services will be held Wednesday, April 10, 2019, at 10:30 AM in the Holcombe-Fisher Funeral Home, 147 Main Street, Flemington, NJ. Interment will follow in Mountainview Cemetery, Cokesbury, NJ. Calling hours will be Tuesday 5:00-8:00 PM at the funeral home. Memorial contributions may be made to Third Street Alliance, 41 North Third Street, Easton, PA 18042. "Email Address" would like to share the life celebration of Eleanor Grace Barnes. Click on the "link" to go to share a favorite memory or leave a condolence message for the family.